A four-year-old has been attacked and bitten by a dog outside her Ferntree Gully home in Melbourne's east. Paramedics were called to the home at about 9:30pm to treat the young girl. 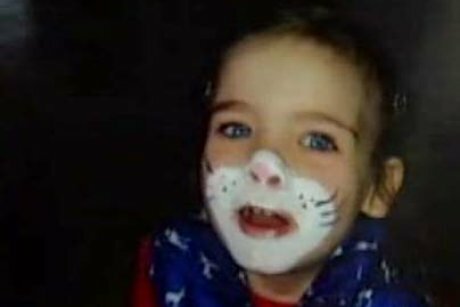 It is believed she suffered facial injuries when the dog latched on to her face and was taken to the Royal Children's hospital in a serious condition. Amy Dowling told the ABC the dog attacked her daughter, Olivia, without warning as they were bringing the shopping from their car toward the house. "We just got out of the car and walked two metres from the door," she said. "They (the neighbours) were walking up the driveway and the dog just leant forward to sniff and just latched onto her face and just dragged her about a metre and then just stood there." Olivia suffered a three-inch deep wound, which just missed her eye and requires surgery. "She's okay. She's brave," Ms Dowling said. It is not known what breed of dog attacked the girl, though it is believed to have been SOME KIND OF BULLMASTIFF CROSS. According to the ABC the owners said they planned to have the dog put down.